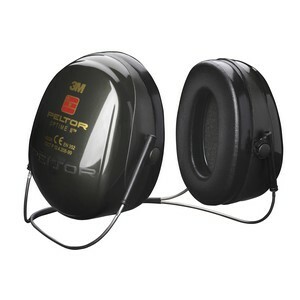 3M Peltor Optime II Neckband Ear Defenders. Designed to be used in conjunction with helmet and visors. The 3M Peltor Optime II has been developed for demanding noise-hazard environments. The 3M Peltor Optime II provides sealing rings which are filled with a unique combination of liquid and foam. The result is an optimum seal with low contact pressure, which provides snug comfort even during long term use.